"pygame artist in residence" grant — To celebrate someone using python or pygame in their arts practice. The first recipient is Josh Bartlett who has shared with us some things below about himself, and what he's been up to. Many years ago at a technology camp called Übertweak, Josh Bartlett was introduced to Python and fell in love at first sight. Since then, Josh has worked on many Python projects, including writing a tiling window manager, and working on the open source game, Trosnoth. 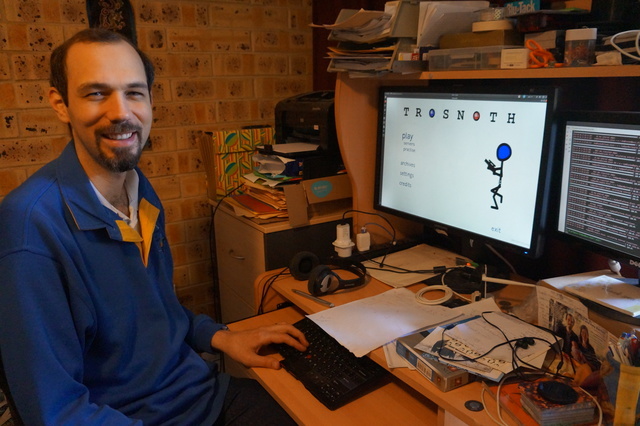 Josh is the main developer of the Trosnoth project. 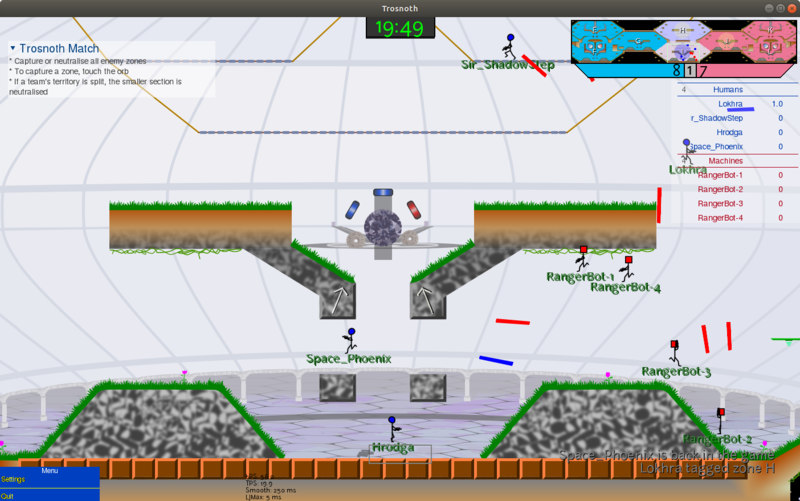 Trosnoth is a multiplayer territory control shooter built on Python and pygame. It's a fast-paced team game in which taking one risk may see your team gain or lose lots of territory. The game physics of Trosnoth have always had a bit of a retro feel: when you press an arrow key, your player moves sideways at a constant velocity. Josh has recently updated the game physics to be momentum-based. He's currently working on training the bots to be able to get around Trosnoth maps with the new physics. Once that's done, he'd love to start adding flashy new levels to the game. To follow Josh's Trosnoth progress this month, head to his blog. 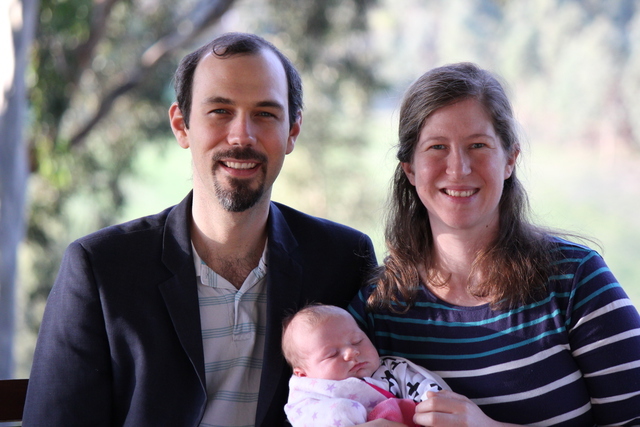 Josh lives in Brisbane, Australia with his wife and baby daughter. He works in community engagement, and enjoys programming in his spare time. Although developing Trosnoth isn't Josh's day job, he spends time working on the game most weeks. Josh also enjoys spending his spare time playing the autoharp, telling Bible stories, and swing dancing. He doesn't usually do all of these at the same time.